Each year in the UK, around 2.5million cubic meters of peat are sold to commercial and amateur gardeners in Great Britain, damaging or destroying over 94% of peat bogs. Most of this damage has occurred in the last 50 years, since the large-scale use of Peat in the horticultural industry. Peat bogs develop in high latitudes in waterlogged conditions, as plant material, instead of decomposing, builds up over time. The lack of oxygen preserves these plant fragments layer upon layer and they can still be identified thousands of years later. As picklers of the past, Peat bogs are an important key to unlocking the door to the history of our climate, our vegetation and our ancestors. 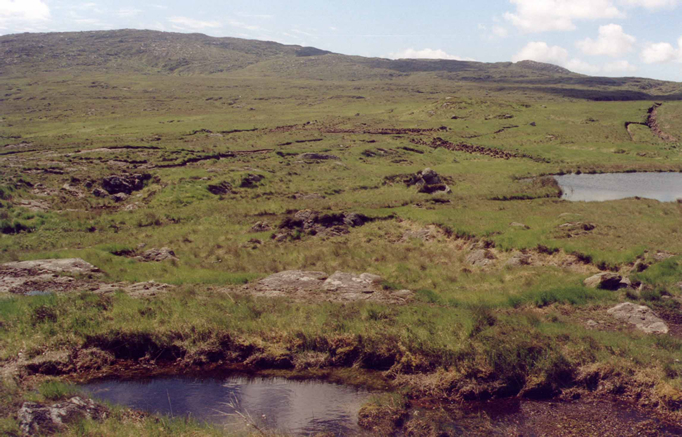 For centuries lowland bogs have been drained and converted to agricultural land. Now, remaining sites continue to be destroyed to satisfy the demand for horticultural peat for use in gardens and for the gardening industry. Easy access to lowland raised bogs, and their highly prized, deep peat moss, make them prime targets for commercial extraction. Today, as peat bogs are drained or removed, rare plants and animals that depend on them are being squeezed out, many are so specialised that they can live nowhere else. Unusual plants, such as Sundew, Butterwert and Bladderwert ( such lovely names ) supplement their diet in this nutrient – poor environment by catching and digesting insects. Plants such as Bog Rosemary are found nowhere else in Britain. Sphagnum mosses, each species finely adapted to local conditions, carpet the surface of the bog’s in patchworks of brilliant green, ochre yellow and rusty red. Seed compost should be free draining and low in nutrients. Try using pure coir (coconut fibre dust ), mature leaf mould, or a mixture of leaf mould and loam. Peat free products may need more frequent watering and feeding than peat. To make your own mixture blend 50% coir with 50% green waste compost. For large plants growing long term in tubs and containers use 60% loam ( quality top soil ) and 40% green waste compost. Soil improvers add organic materials to the soil, helping to boost soil biodiversity, add nutrients and improve moisture retention. Although frequently used as a soil conditioner, peat is almost completely useless for this as it contains few nutrients. Composted organic products are much better, they last longer and have more nutrients. Use wood wastes, composted farmyard manure or organic compost. Peat when used as a mulch can quickly dry out, disintegrate and blow away. There are many better options. Bark, Coir, woodland mulch and shingle will all retain moisture and suppress weeds as well as looking attractive. A mulch of Peat free fine grade compost has the advantage of adding nutrients to the soil, leaf mould can also be used, but if in short supply is better used in a compost mix. Other useful non-Peat garden products that can be used are worm compost, which is high in nutrients and ideal in compost mixes. Organic fertilizers such as Bone Meal, Hoof and Horn, Seaweed meal are all high in the necessary plant nutrients, these are all slow release so large quantities are not required. The way to prevent the Peat bogs disappearing forever is to change consumer thinking when it comes to gardening and the use of peat. Being in the business of making recycled compost I have seen this change slowly come about with many endorsements from professional television gardeners such Nick Beardshaw and Monty Don to local users and allotment societies who have large repeat orders year on year. So the way forward, if we are serious about sparing the peat bogs, is the utilisation of green waste recycling for as much of our bulk composting an dsoil improvement as possible. Olus are now providing blends of compost such as the grade one Top Soil which is screened to 5mm and blended with organic compost and a small amount of sharp sand to create a light free draining growing medium. Rootzone is a blended compost ideal for grass seeding and turfing with slow release nitrogen great for quick root establishment and sold to many Golf courses all over the South of England. Olus also sell Woodland mulches and Bark and can deliver either in one tonne bags or loose. All our products are Peat free, locally produced and sourced from sustainable resources.